Terrenos à venda na Florida para investimento ou construção de sua casa nos Estados Unidos! 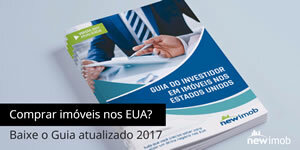 Conte a busca atualizada em tempo real da Newimob! This is a once-in-a-lifetime opportunity to own one of the most magnificent trophy properties in the U.S. Four waterfront, adjacent lots at highly exclusive Indian Creek Village - Lots 4,5,6,7. Combined, the 4 lots, which all face West with open views of Biscayne Bay, measure approximately 320,000 SF,& offer 800 feet of WF. Private dock. The possibilities of what can be done with this property are endless. The island boasts a private golf course, & employs its own police force & boat patrol. *** The property is held in three entities and the purchase will be of the shares of such entities holding the property. 153.2 Acres (62 hectares) of Ocean Front Raw Land facing the Caribbean Sea. Utilities onsite. Access Road. Guayepo Vicinity/Neighborhood/Suburb is just 10 miles from the City of Cartagena de Indias. 15 min drive on 90A Road Cartagena-Barranquilla. Universities, Hotels, Schools, Gyms, Shopping Mall and everything a City has to offer. New and under construction developments. Water Treatment Plant. "Rafael Nunez" International Airport receives more than 300 direct flights and more than 700 connecting flights a week. More than 4 millions passenger per year. 2 1/2 hours flight from Miami, FL. Investors/Builders/Developers Prime Location. Check map for nearby developments. On the backend of Freetown is Red Bay or commonly referred to by the natives as Deep Creek. It&apos;s named after it&apos;s orange, and sometimes reddish sand beaches that can not be found anywhere else in the world. 519 acres of this beautiful undeveloped land can also be purchased in addition to Lera Cay. The bay itself has over 4,900 linear feet of waterfront usage. This north facing waterway gives easy access to Governor&apos;s Harbour, Gregory Town, North Eleuthera Airport, and the Glass Window Bridge to name a few. The interior parcel is very deep spanning over a mile in distance. This would make for a fabulous waterfront resort on the bay and a championship golf course on the south side interior land. 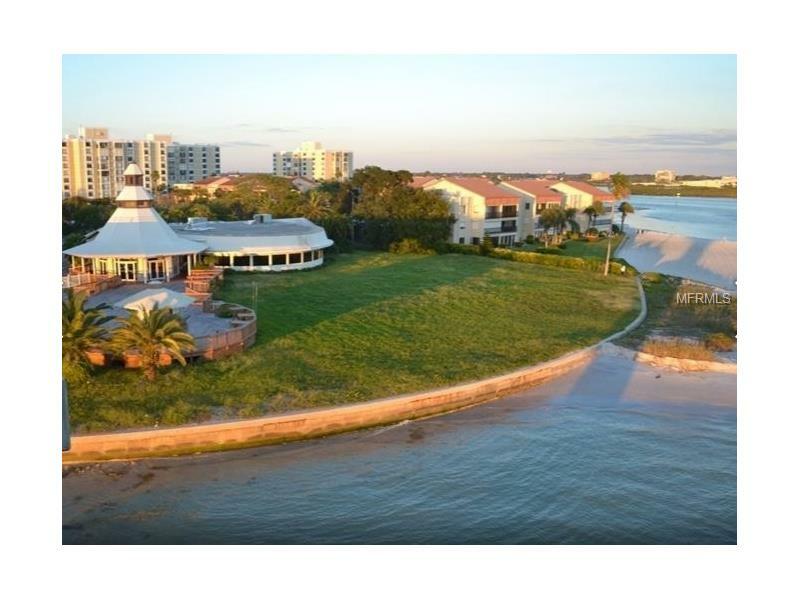 Spectacular redevelopment opportunity of 3+ acres on Clearwater Gulf. Redevelopment may include 50 condo units per 1 acre or 110 tourist units(hotel) per 1 acre as per the Clearwater revitalization program "beachbydesign".This 3+ property is unoccupied restaurant existing 13,714 gross sq ft large parking area and seawall in place.Seldom are 3 acres available in Clearwater Beach due to density and so redevelopment opportunities are much in demand in this tourist spot. Clearwater beach was name one of 10 top beaches in USA with more than 5,579,900 annual visitor in 2013 with a $$$spend of $7,728,483,415 a 71% hotel room occupancy and 96.8 % satisfaction rating for the area. (data profile visitor) This is high demand high density area.Owners will consider staying on the project with significant buyer investment. Seller is a Licensed Real Estate Agent in the state of Florida. Build your dream home on the largest piece of land currently being offered for sale on North Bay Road. Located on the exclusive Upper portion of North Bay Road, the lot benefits from 200 linear feet of waterfront with unobstructed wide bay views of Downtown Miami. A magnificent estate can be designed to enjoy breath taking views of Biscayne Bay with picture perfect sunsets views. Additionally, seller has obtained Planning Board permission to split the property into two separate lots should a buyer wish to build 2 distinct houses. Architectural drawings are available for two houses that have been approved by the Design Review Board. Buyer has complete freedom to determine whether they want to build one or two houses. Owner would also consider selling as 2 separate parcels. One of Miami-Dade&apos;s largest waterfront residential parcels offering more than 3.51 acres and +/- 430 ft of deep-water dockage. Located in Gables Estates, one of Miami&apos;s most exclusive residential guard-gated communities. Direct ocean access from dock in minutes with no fixed bridges. Interior location provides added protection for large vessels. Widened canal offers ample turning basin. Membership application & approval required. Inquire for details. Great opportunity to own and develop in beautiful Caribbean Island Dominican Republic, Playa Bayahibe. This large land covers 1,390,694 square meter in land. Location, location, Location....Located near Dream&apos;s Hotel, 5 from The Bayahibe beach, 10 Mins from La Romana Airport, 20 minutes to city of La Romana, 40 Minutes from mayor City Higuey. Owner looking to sell land by parcels, or entire lot. Great land to develop a new resort, gold community. 160 Acres of Buildable land! Perfect for developers next to several established beautiful and in Demand Communities, 40 Acres are zoned for 15,000 sqft Lots! The remaining 120 Acres are zoned for single family homes for every 5 acre parcel. Once in a lifetime opportunity to build your dream home on this one of a kind west facing lot in prestigious and gated Sunset Island IV. Measuring 25,671 sq ft, this magnificent parcel of land boasts 150+ linear feet of water frontage and enjoys incredible unobstructed panoramic Biscayne Bay, Downtown Miami skyline and gorgeous sunset views. Don’t miss your chance to the live in the best location that Miami Beach has to offer. Walking distance to Sunset Harbor retail, restaurants, parks and wellness centers. Only 15 minutes to the airport. Building code will allow you to design a two-story 13,000 square foot luxury home. Conceptual plans available on request. Auction: Bid November 12th–15th | Previously $20M, Without Reserve. Generously sized 1.63 ± acre parcel is directly adjacent to Playa Vista Isle, the largest estate located on “Millionaires Mile” in Hillsboro Beach, midway between Miami and Palm Beach on Florida’s Gold Coast. The parcel has one of the highest elevations in the area, and features 180 ± feet of Ocean frontage with private beach as well as 185 ± feet of frontage on the Intracoastal Waterway. There is a newly constructed 140 ± foot deepwater concrete dock which can accommodate up to a 150 ± foot yacht with dockside electric and water service. Convenient access to private jet & heliport transportation is a short distance away. Villa Jasmine - with breathtaking views of the city skyline & the Biscayne bay from the SW tip of prestigious Sunset Island I. Modern Mediterranean waterfront estate with granite driveway lined by majestic Royal Palms, leading to a luxurious 7,622 SF home. Main house has an interior exotic courtyard & fountain, soaring arched windows which provides indoor/outdoor lifestyle. Master BD w/ walk-in closet, & bath w/spa and private large terrace which boasts unobstructed Miami skyline views. Guesthouse w/ rooftop terrace & Jacuzzi overlooking the water and cinema downstairs. 22,093 SF Lot w/ dock, with over 150 ft of waterfrontage, 22,000 lb boatlift & 3-car garage. Build an addition or upgrade the property to an 11,000 sq foot dream home with dramatic sunsets. Huge price reduction to $16.9 million. Originally listed at $24 million in Nov ’16. Owner has purchased a home in Colorado and is extremely motivated. Star Island is Star Island and this property is the best of the best. This lot is very desirable because many lots on Star Island are rectangle, 40,000 sq ft with 100 ft on the water. 44 Star Island is 49,473 sq ft with 209.27 ft on the water! Now let’s talk about the most recent comparable. 4-5 Star Island just sold for $412 per sq ft. At $16.9 million, 44 Star Island is at $342 per sq ft. Great value! Additionally, there are pre approved plans that come with the property if the buyer wants to build immediately. Please call for a private tour of the property. This amazing 3.51 acres is one of the last and largest pieces of waterfront properties with direct Bay access located in South Florida. Part of the Gables Estates community it has magnificent long uninterrupted views of Casuarina Waterway. With 375 feet o f waterfront and a deep boat basin it&apos;s perfect for the grandest yachts. Don¹t miss the opportunity to build your dream home in this centrally located area close to great schools, fine dining, luxury retail, and minutes from airport!! A rare opportunity to own a 29,000 SF lot with 150 FT of waterfront on North Bay Road with downtown views. Perfect to build your dream home. Invest for the future. RESIDE WITH THE ULTIMATE VIEWS OF THE DOWNTOWN MIAMI SKYLINE, SAILBOAT BAY & CRUISE SHIPS! The perfect opportunity to combine 2 lots & BUILD a Mega Estate Overlooking the OPEN WATER of the Biscayne Bay & City Skyline with a total of 140 Ft of Waterfrontage & 25,000 Sq Ft of Land. The Southwest Exposure allows for lots of Natural Light all year round and the Perfect Sunsets! Located in the hip Venetian Islands just seconds to South Beach, Sunset Harbour & Lincoln Road and minutes to Downtown&apos;s Performing Arts District, Wynwood & the Design District.